Darcy Grabenstein: Hello from SmartLinx! In today’s podcast, we’ll talk with Dr. Edna Cadmus, clinical professor and specialty director of the graduate nursing leadership tracks at Rutgers University School of Nursing. She is also executive director of the New Jersey Collaborating Center for Nursing. The center works on behalf of nurses to provide evidence-based recommendations to policymakers and leaders of the profession regarding the nursing workforce and its impact on patient care. The center has developed workforce reports for the governor, current workforce trends, and educational capacity reports to assist employers and legislators in decision making. Its current focus is on nursing demand in various healthcare industries. Dr. Cadmus serves as co-lead for the New Jersey Action Coalition, one of 51 groups nationwide focused on implementing recommendations from the Institute of Medicine’s landmark report, The Future of Nursing. She was a co-principal investigator on a funded project by the Centers for Medicare & Medicaid Services on developing, implementing, and evaluating long-term care nurse residency programs. Welcome, Dr. Cadmus, thank you so much for joining us today. Edna Cadmus: Thank you very much for having me today and for sharing some of the data that we collect on an annual basis. DG: So Dr. Cadmus, since your focus is on nursing demand, you’re eminently qualified to provide perspective on the current nursing shortage in long-term care, which has been called a crisis by some people in the industry. Could you give us a state of the union update on where we are? EC: Sure. So the Healthcare Resources and Service Administration released a national report on long-term care support services for 2014 to 2030. The long-term care services include nursing homes, residential care facilities, home health, and adult daycare. The demand for registered nurses and LPNs is expected to increase substantially. However, it is important to know that it differs from region and state. For example, the northeastern region shows a smaller need than the western and southern regions of the country. This assumption is based on no changes in the healthcare utilization and staffing patterns, which is very hard to predict as the healthcare system is evolving. However, if we see changes in better management of chronic care diseases and better medication management, that number could change. It’s also important to know that it is not only about the number of nurses we produce, but it’s also based on the competitiveness of wages and benefits and settings, as well as the work environment. Nationally and in New Jersey, my bigger concern is the instability of the long-term care workforce. Instability is really measured by both retention and turnover rates. Nationally, long-term care is at an all-time high, with a median turnover rate of 50 percent for RNs, which is an 11.1 percent increase from 2011, and this was reported by the American Healthcare Association in 2014. 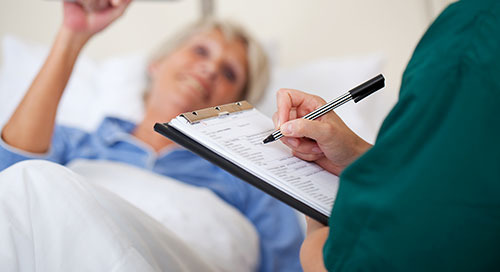 Nationally, the American Healthcare Association and the National Center for Assisted Living set a goal to increase staff stability by maintaining nurse staff to less than 40 percent turnover. While I’m pleased that they are trying to address the turnover, this is of major concern. Instability of a workforce impacts quality of care, cost, and a dissatisfied nursing workforce. In New Jersey, when we did our study with long-term care facilities, we found that the turnover of RNs and the retention rate of RNs were comparable to the national statistics. This is of great concern. I believe that leadership in these facilities need to look at the factors that are driving nurses out of these environments. This new generation is looking for growth opportunities, educational opportunities, and an environment that maximizes their skills and competence. Leadership really needs to think and act differently if we’re going to resolve these problems. This environment has become more complex, and strategies used by hospitals should be considered. It is estimated that every 1 percent reduction in turnover, it saves an organization approximately $300,000 a year. And if you’re trying to replace an RN or LPN, it’s usually one and a half to two times the person’s salary. These dollars could be used for other things. DG: So I’ve been reading a lot lately about the nurse residency program in New Jersey, and I’m very interested in learning more. With the program’s 86 percent retention rate for participants, which is amazing, I think our listeners will be extremely interested as well. I know you’ve also co-authored a book about it, Developing a Residency in Post-Acute Care. Could you care some details of the program? And why do you think it was so successful? EC: Sure. So in 2011, as you know, the Institute of Medicine’s landmark report was released, The Future of Nursing: Leading Change, Advancing Health. And it actually made a recommendation based on their evidence that there was a need for nurse residency programs that transition nurses into practice across all settings. New Jersey is one of the 51 action coalitions, as you mentioned, across the country, and I’m actually fortunate to service one of the three co-leads for the action coalition. Historically these residency programs were frequently offered in hospital settings and not post-acute settings. As an action coalition, we felt it was important to focus outside the walls of hospitals, and we’re very fortunate to receive funding from CMS to support a pilot project for 30 months. We received a $1.6 million grant to look at this issue. We created a residency program for long-term care and worked with 36 facilities across the state. During this program, we educated nurses as preceptors for five days, focusing not only on the skills that they need to work with a new nurse in terms of providing feedback and helping them in terms of transition, but making sure that they understood the most current content and best evidence that was current in caring for the older adults. We then held a one-day-a-week session with the new nurses where they learned about key geriatric competencies, the latest evidence, and then applied their learning to case studies, simulations, and role-playing opportunities. The one thing that the new nurses told us was that they weren’t interested in having things that they learned in school rehashed, but learning how to apply them. So the topics we would include were things such as caring for patients with dementia, depression, delirium, and pain management techniques, and we certified them as dementia-certified practitioners. The new nurses had 20 days for this learning across the year. We also had eight days of collaboratives, where the preceptors and the new nurses came together and really learned from other experts in the state. One of the ones that always is a big hit is learning how to survive a survey from the state. EC: Together they also created a project that was meaningful to address concerns in their organization, which showed their value to the organization. The nurses were also certified, both the preceptors as well as the new nurses, in being a geriatric resource nurse. And they were given contact hours for their attendance. In our book we actually provide all of the lesson plans and the content for our new graduate program, because what we hope is that organizations will take this information and either develop their own or work in collaboration potentially with a university to help them in terms of transitioning nurses. New Jersey is really a leader in this area. There are very few, if any, in the country. We have consulted on several of them to help in terms of trying to spread this, because we feel that it’s so imperative for transition into practice into these settings. Our results did show that the new nurse resident program improved both the nurses’ confidence, their clinical practice, their role development, and their personal satisfaction. The cohorts helped them share their concerns in a safe environment with faculty who did not work in the organization, and this is really important, I think, to help a new nurse in terms of transition. We continued actually to replicate this program beyond long-term care and assisted living after this pilot in the state with similar successes. However, I do want to caution the audience that if the work environment does not continue to help this new nurse grow beyond the one year, he or she will leave as other opportunities are available to them in healthcare. This new generation is all about continuing to learn and grow, and if these opportunities are not available, they will leave, so other strategies need to be put in place to help with this process. I think the other area that needs to be considered in this whole process is leadership in these facilities. We saw that there was a very high turnover of leadership. And any instability in leadership certainly impacts whether a new nurse will stay or go. In our first study we found that the directors of nursing role turned over as fast as other staff nurses in the organization. Currently, the Rutgers School of Nursing has created a model for our new graduates where we offer them a similar experience where they are hired and the organization commits to sending them to the program. The new nurses not only receive the residency program that I shared, but have two graduate courses that they are given after the residency to keep them engaged in lifelong learning. It’s obviously too soon to determine the effectiveness of this program, but it is important that faculty offer them these experiences during the education so that it is not new to them when they are deciding on where to work. Long-term care has come a long way, and I think that it’s important that new nurses consider this environment for working when they graduate. DG: That’s great, the way you’re continuing the education, as you said, that’s key. Could you tell us a little bit more about the New Jersey Collaborating Center for Nursing? What kinds of programs and services do you offer the nursing profession here in New Jersey? And then for our listeners who are in other areas, are there similar programs in other states, and where? EC: Sure. So the New Jersey Collaborating Center was actually formed in 2002 by legislation, and it was sponsored by Senator Vitale. And it’s comprised of a 17-member board, which includes educators from diploma, associate, and baccalaureate degree programs, community members, trade organizations, professional organizations in the state. And the center works on behalf of nurses to provide evidence-based recommendations regarding the nursing workforce and its impact on the consumer. There are approximately 34 centers in the country that have similar goals, and we work with the National Forum of State Nursing Workforce Centers. That ensures that we have an adequate supply of qualified nurses to meet the health needs of the consumers in our state. We collect and analyze educational data from all of the schools in New Jersey, both RN and LPN schools, workforce data of current RNs, LPNs, and advanced-practice nurses, and then match that to the demand that we see in terms of all of the different settings that nurses can be employed in. Currently, we are working on five project areas, the first being school nurse leadership, the second being LPN practice, the third barriers to care for New Jersey citizens as it relates to the nurse practitioner, and the home care aid supply and demand area. One example of what we’ve seen in terms of data concerns is really in the top five positions being recruited for in the state. One area where we saw a high turnover due to retirement was in the operating rooms of hospitals. As a center we worked with the Rutgers Professional Development Division to actually create an OR training program. Many times, nurses do not have very much exposure in their training program to operating rooms anymore, and so this was a concern. This program is actually in its second cohort to really help ease the burden of individual hospitals having to run such a program, because it takes approximately a year to educate a nurse to become an OR nurse. Working with this model, we’re able to offer education in a centralized location to help fill the gaps across the state. So on our site, nurses can find workforce data, a link to the work of the New Jersey Action Coalition, where we are providing opportunities for nurses to actually engage in the community initiatives across the state. They can find career opportunities that are available in terms of schools within the state and current policies and legislation that impact nursing and consumers on our website, which is NJCCN.org. We are also working with school nurses, and in fact I was with my school nurses hearing all the wonderful work that they are doing in their communities. We have a toolkit that will be online shortly for school nurses to help them in terms of implementing their standards of practice. So those are just a few of the things that we are working on currently. DG: Great. Dr. Cadmus, you’re also involved with the nursing leadership master’s and doctorate nursing programs at Rutgers. According to the website, this program enables nurses to advance to the position of frontline manager in any healthcare setting. Could you give us some details about that program as well? EC: Sure. So I serve as the specialty director for the graduate leadership tracks at the Rutgers School of Nursing, and we offer a master’s in nursing leadership as well as a doctorate in nursing practice in leadership. Students coming to our programs really come from all roles and settings. They can be staff nurses or the senior-most level in an organization. The intent of the program is to build their leadership skills in a rapidly changing healthcare environment. My hope is that we expose them to the future options for nursing and not only the current options open to them. For example, we try and give students experiences in our courses insights they may not be familiar with, depending on where they work. They may work with a mentor in a trade organization or a professional or community organization, insurance agencies as well as the traditional settings of hospitals, home care, and long-term care or rehabilitative settings. They gain knowledge and skills in going across the continuum. The program is really built so that if they achieve their master’s they do not have to repeat coursework in their DNP track, but really build upon the foundations that they’ve learned. They have an opportunity to work with leaders that are practicing as both faculty and in the service arena. They learn both the business aspects of healthcare as well as how to ensure quality through understanding data, and then working to improve it. They also have courses on how to work with personnel to help them lead in a transformative way. Students really have an opportunity to work with faculty on their projects to improve health and healthcare. DG: I have one more question for you today. I’m going to put you on the spot. Where do you see the future of the nursing workforce headed, particularly in long-term and acute care? EC: Sure. So that’s always a tough question because there is no magic bullet here that we can look at, right? The outlook for nursing I think across the country is positive. There will be sufficient job opportunities, and many of the shortage issues are being addressed. Having said that, one area that is of concern is a faculty shortage, as that could impact the pipeline. This is an area where we’re beginning to explore in New Jersey, again that issue, and making sure that we have enough faculty to prepare the next generation of nurses. The nursing report does show a shortage of RNs in New Jersey at about 11.4 percent for 2030. However, if we look at the northeastern states overall, it does show an adequacy in numbers with excess in some of our neighboring states. Geographic mobility of nurses will hopefully equilibrate these numbers. Also, this data needs to be looked at really in terms of changes in care models and policy changes in healthcare, which will impact these numbers. For LPNs the data shows an excess of 11.3 percent. Again, other surrounding states have a deficit and so this hopefully will help equilibrate these numbers. As you can see, there’s no crystal ball and it’s difficult to project this far out. In New Jersey, the projected changes in employment from 2016 to 2026 for RNs is 13.2 percent, licensed practical nurses 14.6 percent, and for nurse practitioners it is about 28.2 percent. As the baby boomers retire we’re currently seeing openings, as I said, in operating rooms, ICUs, and emergency rooms in the hospital care setting. And also, there is a greater need for care of the older adult in long-term care, assisted living, insurance companies, home care, and hospice. When you see those numbers, you can know that also primary care is of concern, and having access to primary care is one of the areas that we are focused on currently. Right now we know that 13 counties out of the 21 counties in New Jersey, for example, have a deficit of primary care practitioners. Nurse practitioners can help in terms of easing that burden, and so that is one of the areas that we’re focused on at the center. I think that we need to think beyond the hospital walls to other opportunities in healthcare. As the population is getting older we need new graduates to move into long-term care, assisted living, and home care. The care provided for these populations, as we know, are very complex and very challenging. For new graduates, they need to seek out positions where there is a nurse residency program offered to help support them in transitions into practice. They need to look for settings where there are either magnet or pathway to excellence designation by the American Nursing Credentialing Center, or organizations that are on their journey. These settings ensure that the work environment and outcomes are positive for both patients and nurses. In New Jersey, we are lucky in that we have 23 magnet-designated hospitals and four pathway to excellence facilities in the state. This is greater than any other state in the nation. As we move more community-based care and nurses have opportunities to move beyond the walls of hospitals to provide care in new settings and roles, this is really to me a very exciting time. Nurses, however, need to prepare themselves for working outside of the hospitals and for continuing their education, whether it’s formal through a master’s or doctoral program, or informally through continued education. At a minimum the Institute of Nursing’s report goal is for 80 percent of the nurses to achieve a BSN by 2020. While we know that that will not happen by 2020, we need to continue to move this needle forward. DG: Well, thank you so much, Dr. Cadmus, for joining us today. And to all our listeners, thank you for taking the time to tune in. If you’d like to learn more about the Rutgers School of Nursing, visit nursing.rutgers.edu. And if you’d like to learn more about SmartLinx and our fully integrated suite of workforce management solutions, visit us online at SmartLinxSolutions.com.